BEDFORD-STUYVESANT, Brooklyn (WABC) -- Tuesday marks two years since NYPD detectives Rafael Ramos and Wenjian Liu were fatally shot in Brooklyn. 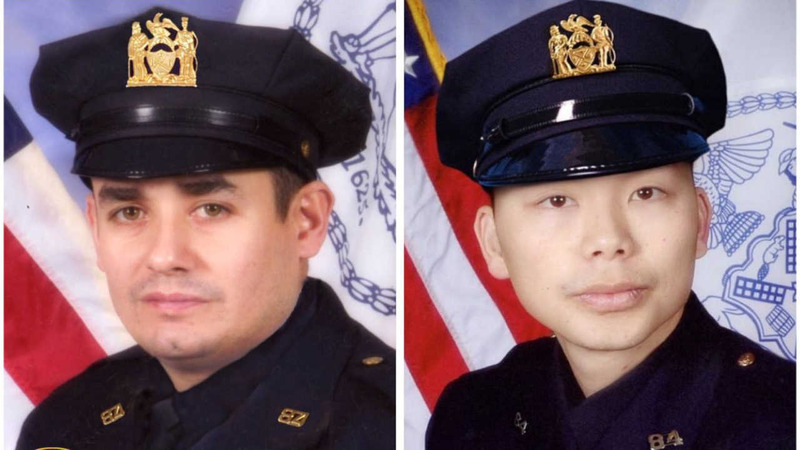 Ramos and Liu were eating lunch in their marked cruiser in Bedford-Stuyvesant near Tompkins and Myrtle Avenues when both were shot in the head. "We gather here today not to relive the pain of that day but to celebrate the lives of these incredible men," said Police Commissioner O'Neill. "To remember the contributions they made in life, to remember the impact they made on their families, their neighbors, their co-workers, and people who never even met them." After the officers' deaths, the gunman, Ismaaiyl Brinsley killed himself. Police said he was troubled and had shot and wounded an ex-girlfriend in Baltimore earlier that day. Last year, the widow of Detective Ramos, Maritza, announced that she is launching the Detective Rafael Ramos Foundation with the hope of bettering relations between police and minority communities.